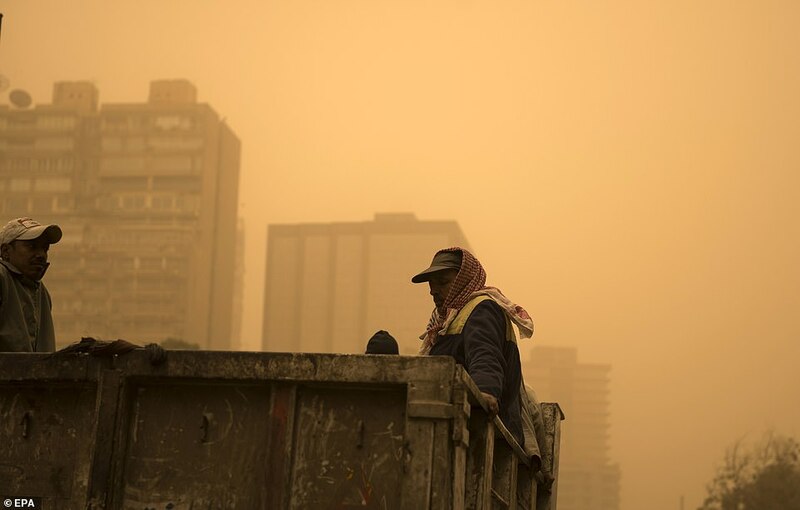 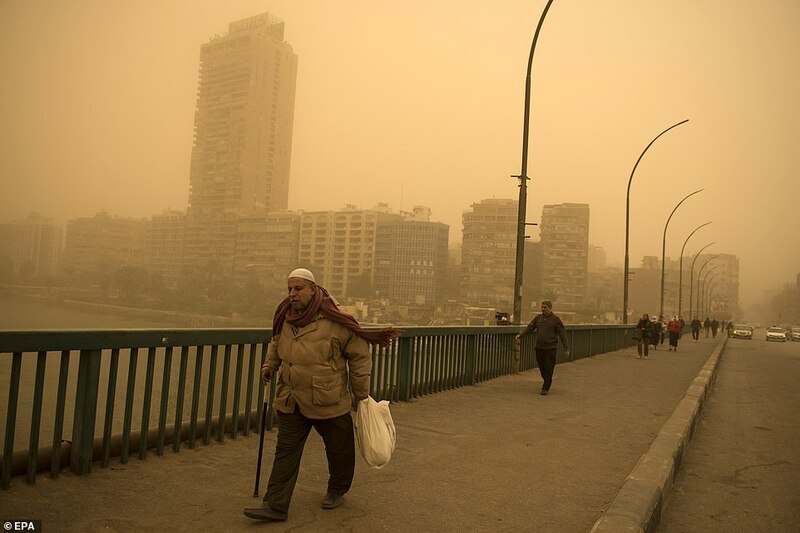 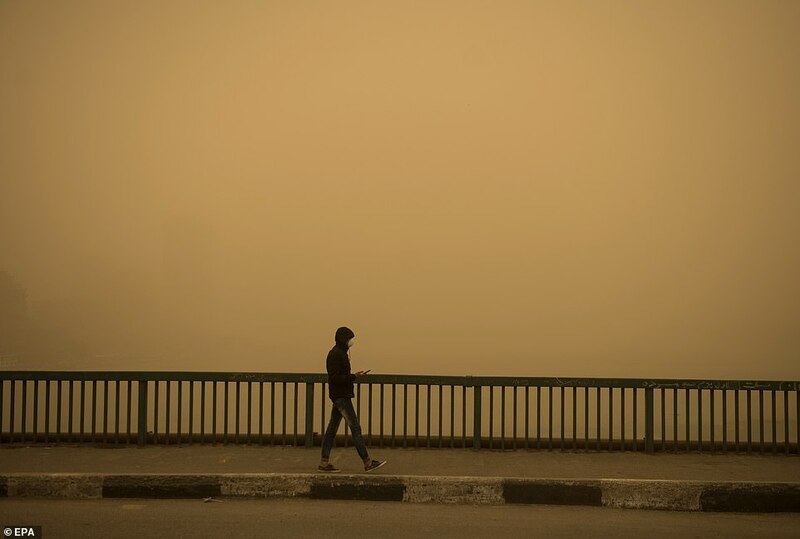 Cairo was bathed in a dramatic orange today as a sandstorm swept the Egyptian capital in winds of more than 30mph. 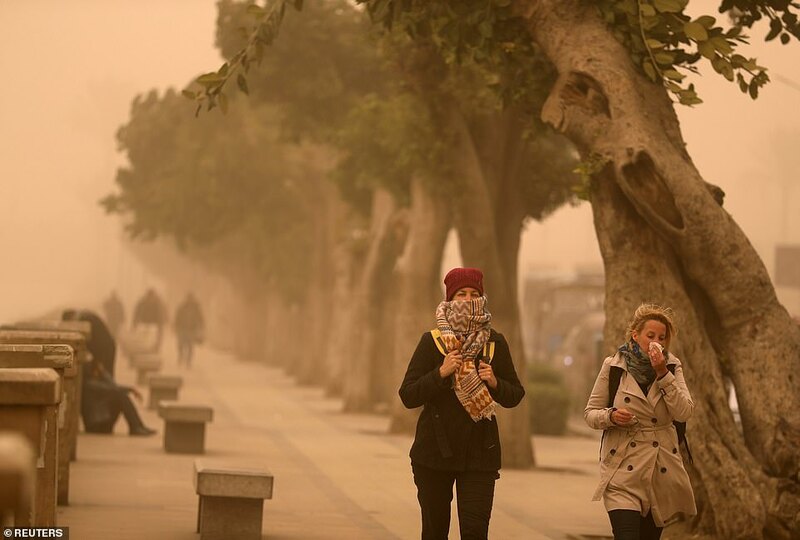 Residents were warned to stay inside over fears of breathing problems while those pedestrians who braved the winds covered their faces to protect against the dust. 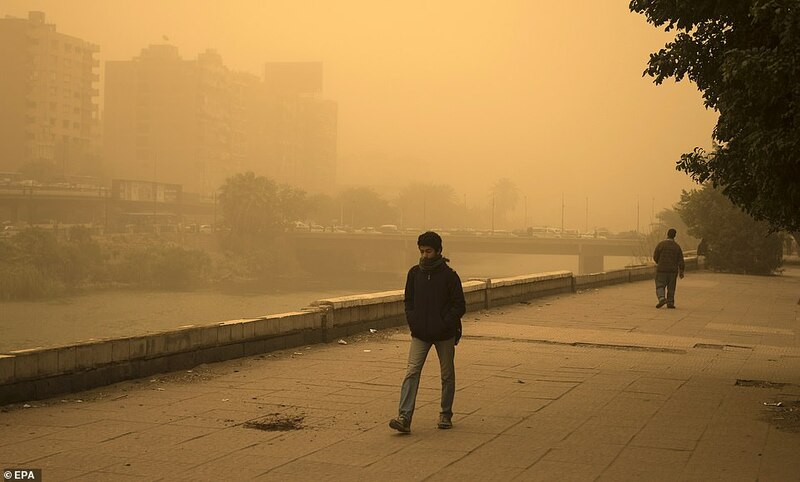 As locals battled through the storm the skyline of Cairo was barely visible behind the cloud of orange engulfing the city, the Daily Mail reports. 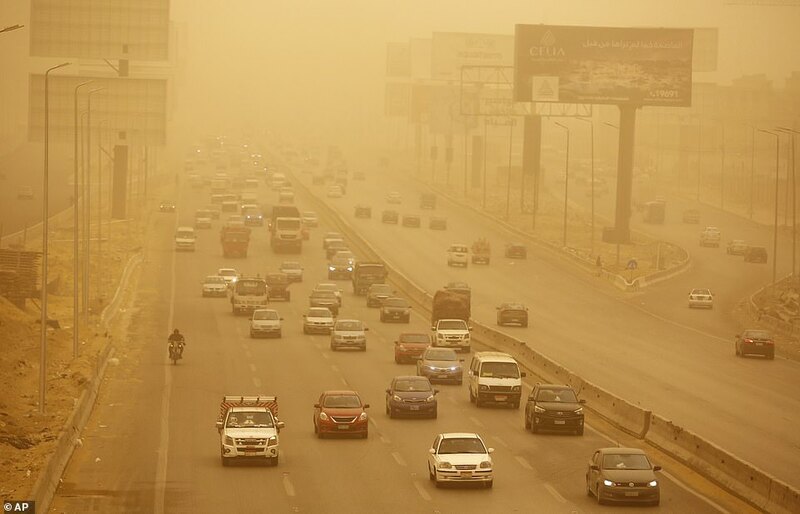 One motorcycle rider said the “colour of the air is changing” and said he feared for his safety as pictures showed poor visibility on Egypt's roads. 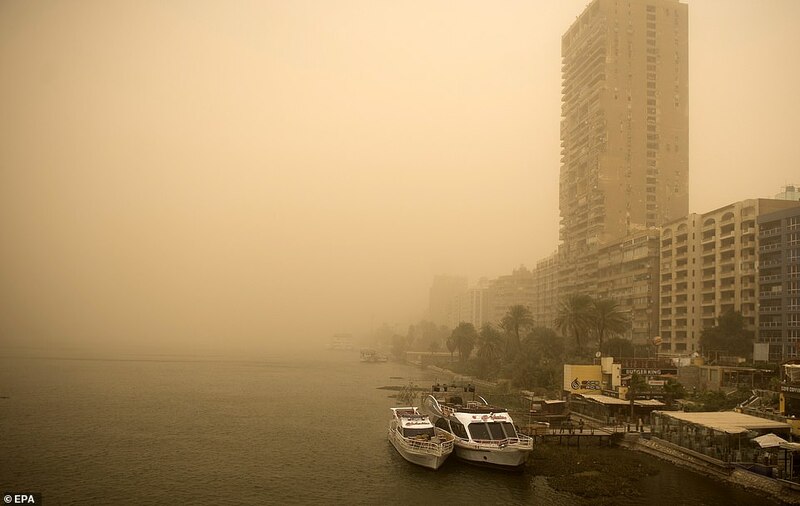 Ports at Alexandria and Suez were closed as a result of the weather, with fierce winds and high waves crashing into the shore, and there were reports of delays at Cairo airport. 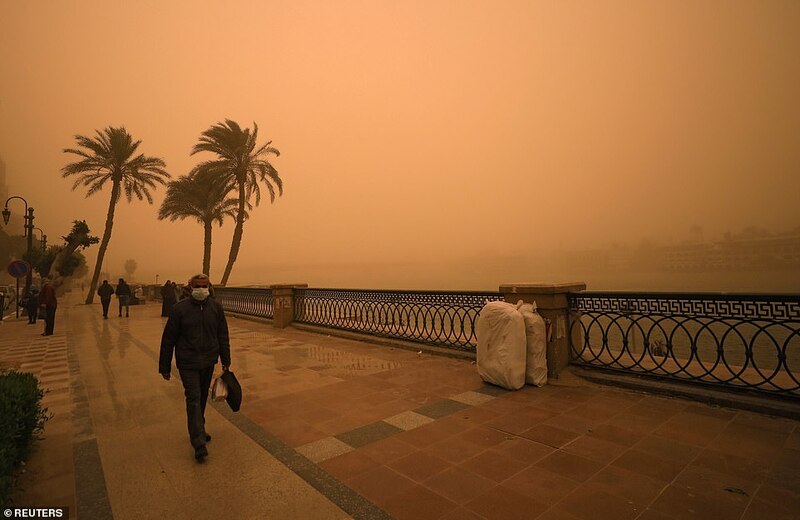 The fierce winds bent palm trees along the banks of the Nile, amid harsh weather across the Middle East which saw snow fall in Damascus and power cuts in Libya. 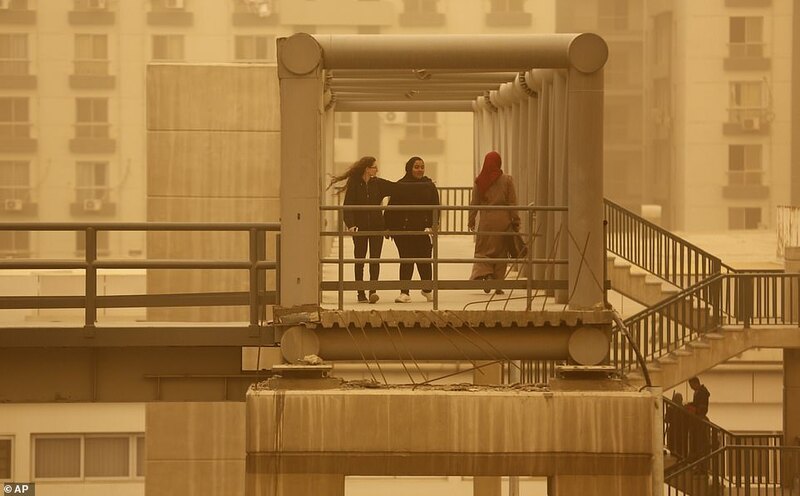 Elsewhere in the region there were fears of a snow storm in Jerusalem while cars were left battling against rain, hail and mud in Israel and Gaza.